London to Paris. A road trip with strangers along the French freeway. From out of the gloaming, shapes emerge; suburban visions with all the power of a desert mirage. Are they instances of real magic or of self-fulfilling prophecy? Such a large crowd of spectators can’t all be wrong about the heavy sheet that hung in the sky unsupported can they? How is it that scenes from a nocturnal fever dream can re-emerge in a simple card trick? And what about the boat that flew? Antoine Cosse’s cinematic tale of world-famous magician known only as ‘M’ blurs the lines between what is real and what is a trick. His complex narrative draws on recent lines of public intellectual enquiry into the power of collective memory, how myth and fable can be used to construct identity, and whether psychology can ever effect objective reality. Meanwhile, his illustrations simply astonish! Antoine Cosse is an up-and-coming French cartoonist based in London. He studied at Camberwell College of Arts and has previously published two short graphic novels with Records Records Records as well as his first full-length effort Mutiny Bay with Breakdown Press, which received great critical acclaim on its launch at Comic Arts Brooklyn in 2013. 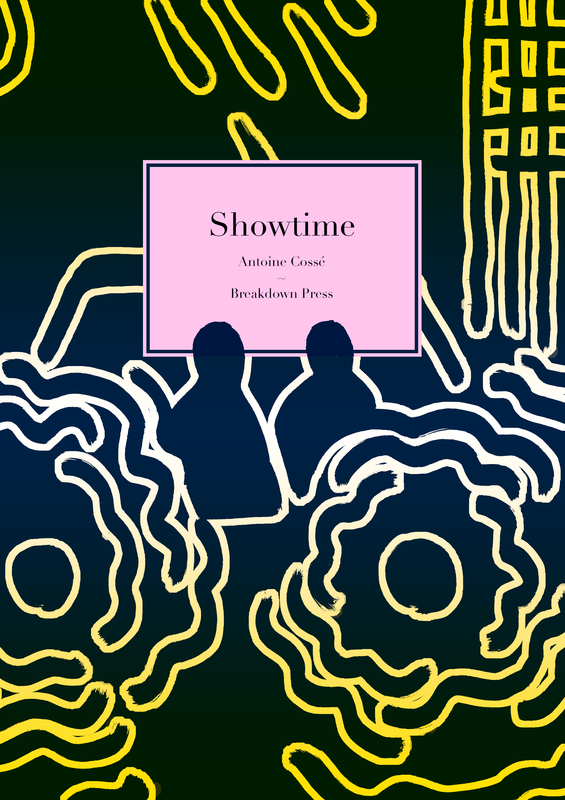 Showtime is his most substantial work to date.